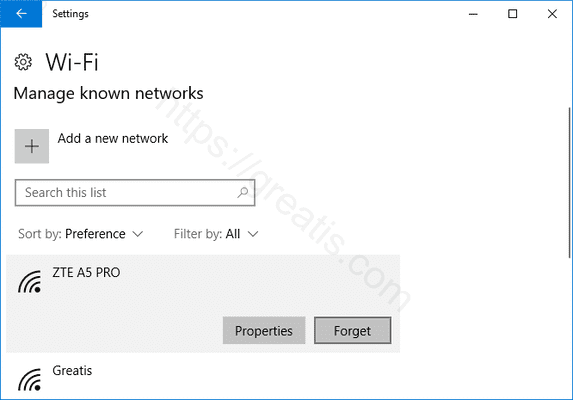 Windows 10 saves a list of Wi-Fi networks you connect to along with their passwords and other settings. 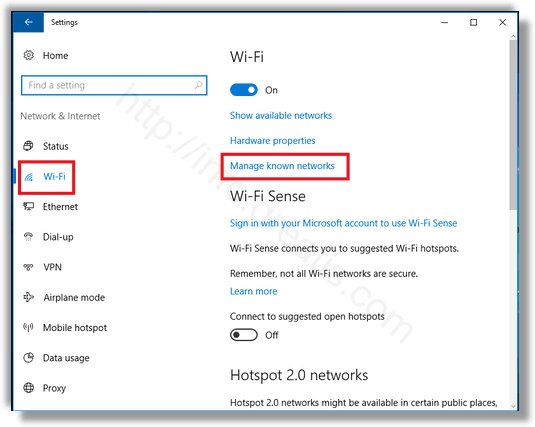 If you want to stop your PC from connecting to a network automatically, you’ll need to make Windows “forget” the Wi-Fi network. 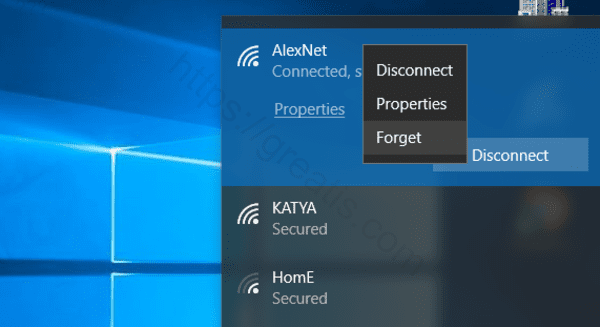 Here is how to delete a saved Wi-Fi network. 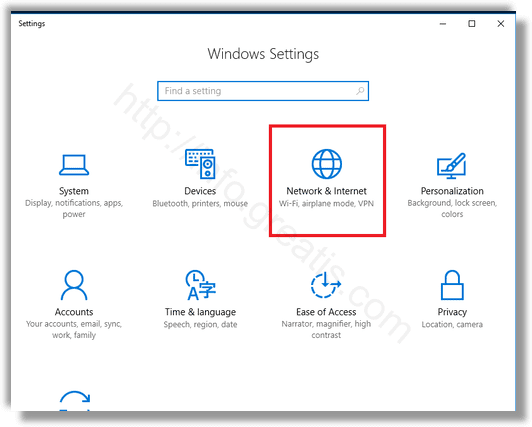 STEP 1: At first, open Settings app and choose Network & Internet. STEP 2: Then select the Wi-Fi category and click the Manage known networks link. STEP 3: Finally, to forget a network, click at the network that you want to forget and click Forget. Or you may just open the Wi-Fi popup from your notification area, also known as the system tray. Then right-click the name of the network you want to forget and select Forget.